Saudi Arabia’s King Salman has removed his half-brother from the post of crown prince and named a nephew, the country’s interior minister, in his place. The post of crown prince secures Prince Mohammed bin Nayef as the most likely successor to King Salman. He is widely known internationally as Saudi Arabia’s counterterrorism tsar and was previously deputy crown prince. He takes over the post of crown prince from Prince Muqrin. The royal decree also announced that the king’s son, Prince Mohammed bin Salman, had been appointed deputy crown prince. He is believed to be around 30 years old and is also the country’s defence minister. The deputy crown prince is essentially seen as being second in line to the throne. 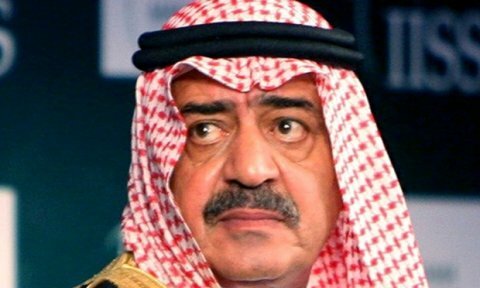 Also in the reshuffle longtime foreign minister Prince Saud al-Faisal was replaced wtih Adel al-Jubeir, the kingdom’s current ambassador to the US. The new appointments further thrust a new generation of Saudi princes into the line of succession. Prince Moqren, who was crown prince until Wednesday’s reshuffle, is the youngest son of the founder of Saudi Arabia, the late King Abdul-Aziz al-Saud. At 69 years old he once headed the kingdom’s intelligence agency but was largely seen as a transitional figure in his post as crown prince. Power has passed among Abdul-Aziz’s sons, from brother to brother, since his death in 1953. The crown prince and deputy crown prince are both from among a generation of grandsons of Abdul-Aziz. The late King Abdullah had named Moqren as crown prince in a move approved at the time by the Allegiance Council, a body made up of the living sons of Abdul-Aziz and some of the prominent grandsons who vote to pick the king and crown prince from among them. The Allegiance Council, whose work was formalised under Abdullah before his passing in January, was likely consulted about the current reshuffle.